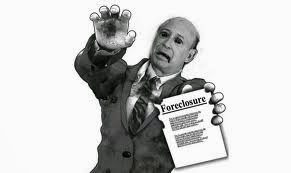 A zombie foreclosure is a term used by many to describe when a property is abandoned by the homeowner before the lender is able to finalize the foreclosure process. As a result many properties fall into disrepair. This can dramatically affect crime rates and eventually lower the property value in the local area. Although this situation is declining on a national level, it is becoming a serious concern in some areas. According to RealtyTrac owner-vacated foreclosures were down 23% as compared to the same quarter last year but still account for 18% of all properties in the process of being foreclosed upon. Currently there are 16 states experiencing an increase of abandoned properties during foreclosure. As an example, North Carolina now has 65% more owner vacated properties than the same quarter last year and this is going to dramatically affect property values. 28% of metropolitan areas with populations of 200,000 or more are experiencing the same problem and that equates to 60 of our largest cities. So what’s the solution? No one seems to have a definite answer but one obvious possibility would be to shorten the amount of time it takes to complete the foreclosure process. A faster and more efficient process could reduce the number of vacant properties created by frustrated home owners. The most desirable situation, of course, would be to find a way for the homeowners to stay in their homes but as always that depends on the economy and local employment opportunities. Here are the 5 cities with the highest increase in zombie foreclosures the 3rd quarter of this year.